My husband, Richard Lopes, was born on January 2, 1937 and came into a family who had been fighting alcohol abuse; a disease that had been past down from generations of family members. His mother and sister battled their addiction leaving Richie and his siblings with little security or happy times in his young growing years.By the time I had met Richie, I was at eighteen, and he was already drinking. Being a young girl coming from a happy family life, I had no knowledge, education or awareness on what alcohol abuse was all about or what it could do to a person. It wasn’t until we got married and had two daughters, Debbie and Lori, that I came to see how alcoholics can’t stop at one drink. They drink until they slur their words, get into argument, and can’t remember a thing the next day.Slowly, I became an enabler without realizing it. 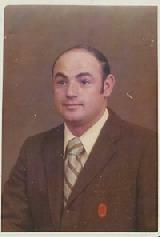 In the late sixties and up, I kept silent to our problems with our families. Small arguments turned into abusive moments with the girls witnessing things they shouldn’t have in their lives. I should have protected them more than Richie. Our once happy, family life turned to fear, confusion and abuse. While I thought I was protecting our children and foolishly thinking they needed their father, I innocently damaged our daughter’s emotionally. Instead, I brought fear into Lori’s life that continued up until her death. It took a lot of strength for me to open up about our lives that I had kept behind closed door for over seventeen years to write Someone Stop This Merry-Go-Round; An Alcoholic Family in Crisis (2009). I watched a loving husband and father turn into someone I didn’t know. This man who hated his family for drinking and the life he swore never to bring into ours became the same person with abusive behavior. After many times of suffering physical abuse and being lucky not to have been killed, I left a man that I once loved to survive. By then, my daughters had seen too much and lived without knowing love in a family. The horrible, sufficing disease passed down to Lori. My memoir shows how we all get on the merry-go-round to keep the abusive action going within the family. Making demands would have stopped years of our family’s mental and physical suffering. February 10, 1985 at forty-five years of age, Richie died from this disease. Now I waited to see if my daughters would abuse alcohol. Lori had a personality once she started to walk and discovered the world and the people in it. By two years old, she delighted in any comical gesture of hers to make people laugh. She continued this wonderful habit throughout her life. Our house filled with her friends since Lori seemed to be the leader of the pack. I enjoyed each moment my daughter’s girlfriends, and at times, the boys in the gang, came over to our house. I knew where they were and loved all the neighborhood kids.My daughter, Debbie, seemed to have things go right in her life. She was the first born and became an adult too fast living in an alcoholic family. My daughters had their childhood robbed from them growing up and listening to parents fighting and waiting in fear that their father would be coming home late at night in a drunken state. Lori’s life had been a struggle with two broken marriages, raising two children alone while she battled addiction and her secret of being bulimic. On the outside, Lori made everyone think that she had no problems, but she hid her pain deep down inside, including away from her family. At the age of seventeen, Lori and Debbie at the age of twenty-one, lost their father when he was only forty-five years of age from cirrhosis of the liver. It wasn’t until Lori’s was thirty-seven years old that the family came to realize that she had been following the same path as her dad. She had deeper problems that kept her frightened all her life and made her lose confidence in herself. Instead of talking about her pain, she turned to alcohol abuse and prescription drugs to numb her secrets. How does a parent miss the signs, especially after losing a husband nineteen years earlier? Easily. Lori never came and told her family that she had been hurting or had been mentally upset with past traumas in her life. 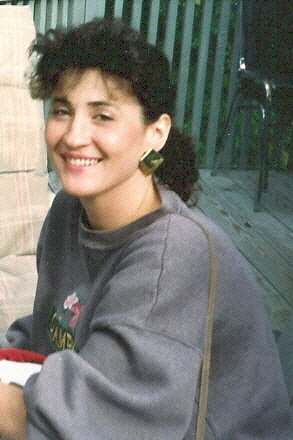 On November 22, 2006 after three alcoholic rehabilitation stays, Lori died at thirty-nine years of age at the Charlton Memorial Hospital in Fall River, Massachusetts. She was laid to rest with her father at the St. Patrick Cemetery in Somerset. Please, God, Not Two; This Killer Called Alcoholism is the sequel after I self-published Someone Stop This Merry-Go-Round; An Alcoholic Family in Crisis. The memoirs are very honest, painful and emotional stories of losing a husband and child to a demon that became their killer. People say authors write to heal. We don’t. We have to figure out how we will go on living with them never being in our life again. It’s what we do with our time left on Earth that counts. I became an Awareness Coach speaking to alcoholics, addicts and their families on the effect of alcoholism on the whole family. God has a way of putting an unknown path in front of us. We have to decide if we want to travel down it, and if we open our hearts to Him, the decision is easy. My books are more on lessons for families to learn what I did wrong instead of being memoirs. They can be purchased on at www.albertasequeira.com or in Amazon.